Leizhan advanced LXL-Z series two-phase flow slurry pump are equipped with art-of-the-art components and equipment, which ensures the high performance and long service life of the machine. 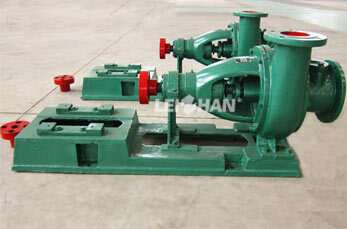 Leizhan LXL-Z series two-phase flow pulp pump is designed for transporting liquid and solid material in paper making, coal, mine, electric power food, urban sewage industry, etc. 35 years of experience in paper and pulp industry and understanding customers’ demands lead to success in supplying efficient slurry pumps for paper customers. Leizhan is a single-source supplier: from design to manufacture, to project engineering, installation, commissioning, service and training. Around the world, pulp and papermakers rely on Leizhan.